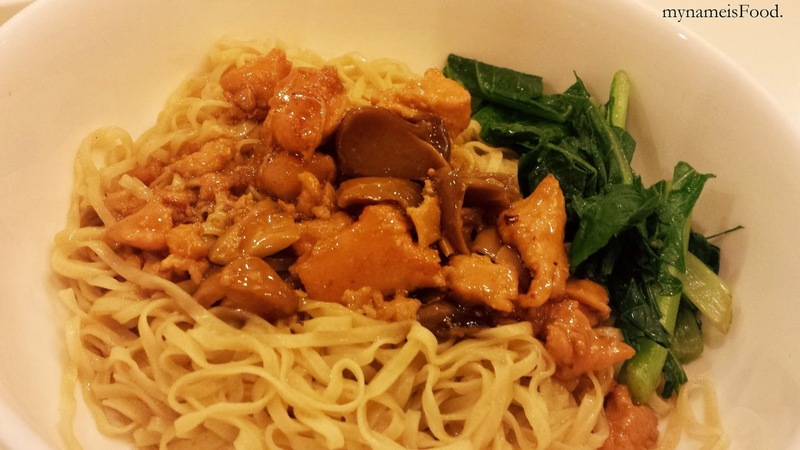 Bakmi GM, 3rd Floor, Mall Taman Anggrek, Jakarta, Indonesia - my name is Food. Bakmi GM is one of Indonesia's famous noodle outlet that started in 1959 and have since then grew to having about 23 outlets in Jakarta and surrounding cities.. Offering simple noodle and rice dishes with their noodle dishes being the more popular out of the two. The noodles offered consists of a variety of noodle soups and such as chicken and mushroom noodle, Yi fu noodles, Beef noodles, Black pepper chicken noodles, Fried noodles or Beef ball noodles and so on.. As for their rice dishes which I usually don't order because I prefer and recommend the noodle dishes more, consists of fried rice, GM Chicken rice, Chicken and mushroom rice, Smoked Chicken rice, Beef ball rice and so on.. Basically the only differences is that the meats are either served on noodles or rice according to what you choose.. I ordered one of their simplest but delicious 'Bakmi Special GM' which consists of pan fried chicken and mushrooms with veges placed on top of the egg noodles, and 'pangsit goreng' which is deep fried wonton which I forgot to take a picture of.. Soup is also included in each dishes, and you can get extra soup (Beef ball soup or Wonton soup) and you can order extra deep fried wontons, boiled wontons, beef balls, or extra noodles.. You can also order a side dish of a mixture of each side dishes which may give you a better idea and to be able to try them all without having to order them one by one seperately.. 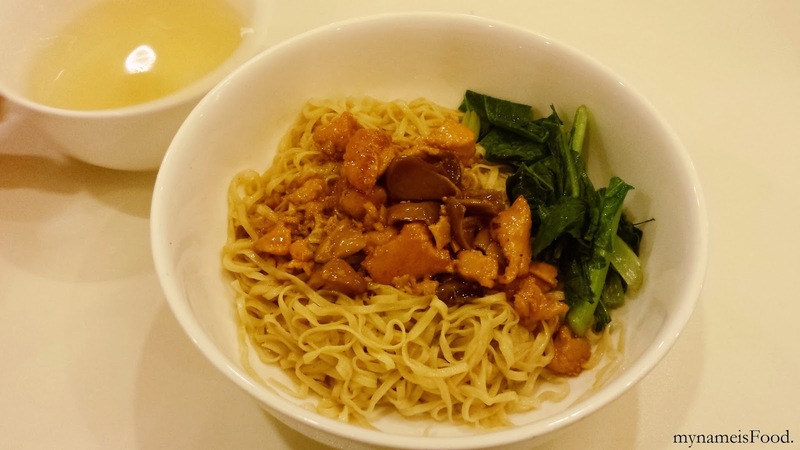 Though a simple dish may be too simple for some, but the flavours of the chicken and mushrooms blends in well with the simple thin egg noodles.. The thin noodles aren't saucy as they are just mixed with abit of oil and sesame oil if I'm correct, however I think that after you have mix the noodles in with the meat toppings, the noodle will absorb the sauces in as well which won't give it that dryness in them anymore..